Cinnamon has never smelled so delightful! 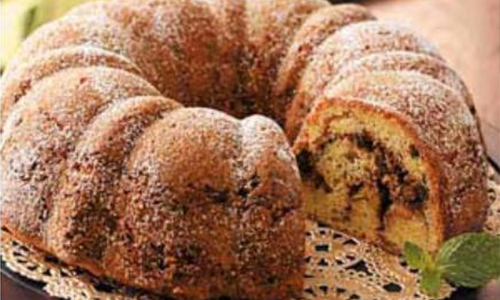 Mocha Cinnamon Coffee cake can be year-round, but it’s a perfect fall treat. Original recipe and image are from Taste of Home, check it out here. Combine dry ingredients, walnuts, sugar and Cinnamon Mocha Cappuccino in a small bowl and set aside. Grab a larger bowl and cream butter and sugar until light and fluffy. Add eggs, one at a time, combining well after each. Mix in vanilla. Combine the flour, baking powder and baking soda; add to creamed mixture alternately with sour cream just until combined. Stir in chocolate chips. Pour a third of the batter into a greased 10-in. bundt pan. Sprinkle with half of the dry mixture; repeat layers. Top with remaining batter. Bake at 350° for 40-45 minutes or until a toothpick inserted in the center comes out clean. Cool for 10 minutes before removing to a wire rack. Dust with confectioners’ sugar if desired. 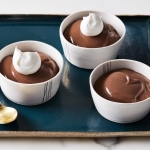 Big Finish: Enjoy with a cup of hot cocoa or a cappuccino! 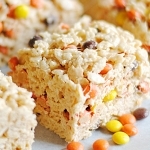 Find more recipes here, and on Caffe D’Vita’s blog. Follow Caffe D’Vita on Facebook and let us know what other recipes you’d like us to share.